Let’s continue this fun theme of the month! As we mentioned before: we are on a mission to help you get through these gray and rainy days that come with this time of the year. 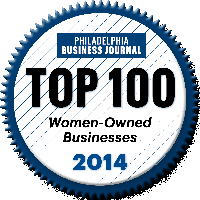 Don’t you worry – we got you covered! Are you trying to get your cable chaos under control? Are you tired of having to untangle your cords once it’s time to charge your phone or laptop? 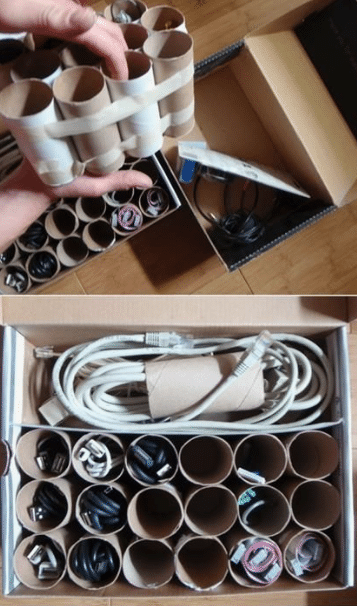 We have a simple solution to keep the mess in check, and all you need is tape, toilet paper rolls, and a box (optional). Step 1: Tape as many toilet paper rolls together as you have cords (see picture on the right). The more rolls you tape together, the less likely they are to fall over. Step 2: Place the bundle of rolls inside a drawer or a (shoe) box. Step 3: Fold your cords up neatly and stow them inside the toilet paper rolls – one cord per roll. Whenever you are in need of one of them, you will no longer have to go through the hassle of untangling them! Are you looking to spruce up your workspace? Do you need some happy colors in your life to get you through the gray work day? Don’t you worry – follow these 3 steps towards a more colorful desk environment! 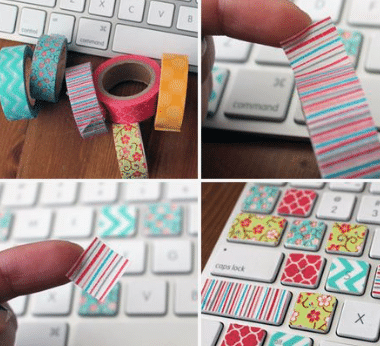 All you need is Washi Tape (you can find it on Amazon), scissors, a keyboard with relatively flat keys (make sure it is unplugged), and a little patience. Step 1: Properly clean the keys of your keyboard to ensure that the tape will actually stick to them. Step 2: Measure the keys, then cut and trim the Washi Tape to size (it might be easier to create a template, that way you don’t have to re-measure every time). Note: The lighter the color of the Washi Tape, the easier to see the actual symbols through. If you choose a more covering color of tape you can hand-write the symbols on the individual keys after finishing up the taping.